Item #43531 : Original era manufacture. 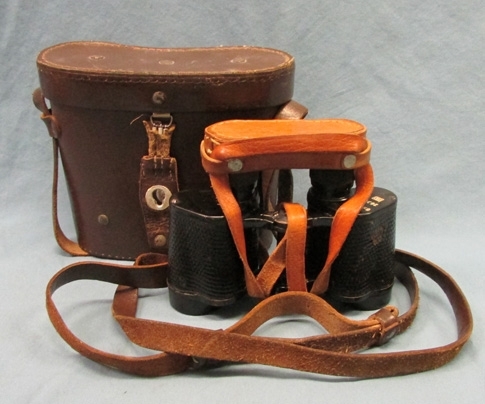 A sound pair of service quality 6x30 binoculars with a range grid in the right lens. 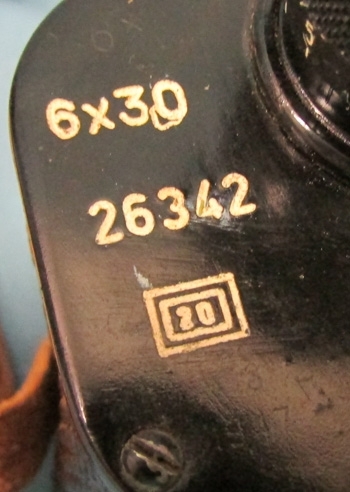 Overall, these appear in near new condition, with clear optics, and the individual focus eyepieces work properly, with just a hint of stripping in the left side threads.Period markings on the left top cover, and if you look closely you can make out a 1947 date. 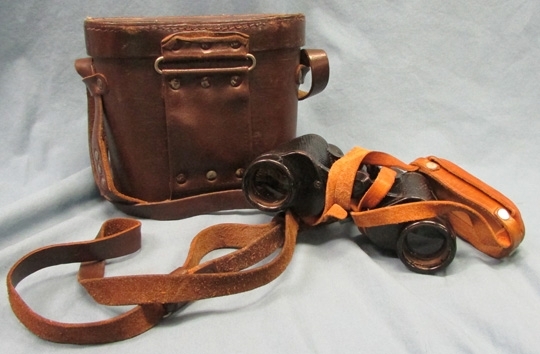 The binoculars come with a very pliable leather neck strap and lens cover, and a service grade leather case with shoulder strap.